Politicians love to get their names on things. So when a politician passes on, it&apos;s natural that the living politicians try to find something public they can rename to honor a departed colleague. In Chicago, this process can become quite creative. Take Kelly High School and Kelly Park. They’re across California Avenue from one another, just south of Archer Avenue. But each is named for a different Kelly. Thomas Kelly was born in 1843. He got into Democrat politics and was elected alderman in the 28th Ward. He later became a trustee of the Chicago Sanitary District. Kelly was serving on the Board of Education when he died in 1914. In 1928 a new junior high school opened at 4136 South California Avenue. Thomas Kelly had been on the school board and lived in the neighborhood, so the building was named for him. In 1933 it became a four-year high school, which it remains today. The school also owned a parcel of vacant land across the street, on the east side of California Avenue. In 1947 the Park District signed a lease for the property with the idea of building a park. A number of adjacent home owners were forced to sell by court order, and their houses leveled. In 1951, Kelly Park was dedicated. Meanwhile, Edward J. Kelly had just died. 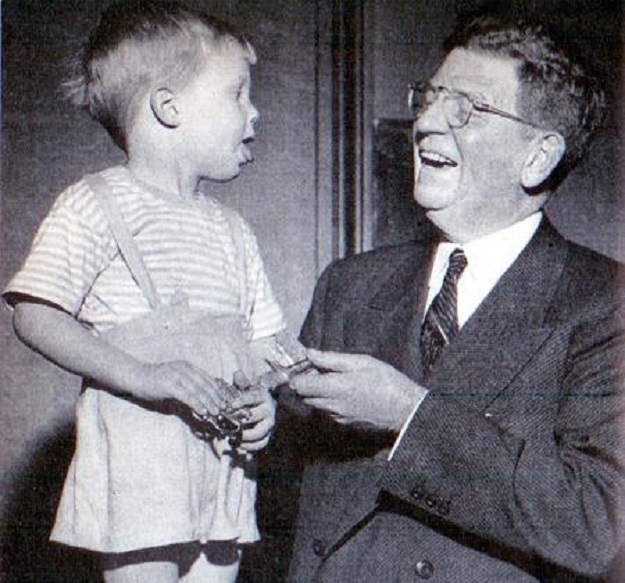 This Kelly had been Mayor of Chicago from 1933 to 1947, the longest tenure in the city’s history. Today the signs at the park read “Edward J. Kelly Park, established 1951.” However, it’s not clear when Ed Kelly’s name was actually put on the park. I had an older friend who grew up nearby. He said the vacant land on the east side of California was informally called “Kelly Park” as early as the 1940s. It was considered to be part of Kelly High School. Maybe the Ed Kelly dedication did take place in 1951. Maybe it took place in 1991, when the Board of Education transferred its portion of the property to the Park District. Maybe it happened some time in between. The end result is a sort of cut-rate commemoration, two politicians for the price of one. In any event, Ed Kelly now has his own bit of immortality. And as much as any Chicago politician, he deserves to be remembered. After all, he’s still the longest-serving mayor whose name is not Daley.